Tulsans Julie L. Mueller and Eugene Blake of Aurora Kennel celebrate honors at The Morris and Essex Kennel Club dog show in Somerset, New Jersey. This show, first held in 1927, is held once every five years so a win is highly prized. Raisin’ Cain 2015 was a huge success! Attendees enjoyed old and new friends, great food, music, dancing and more, all while raising more than $230,000 for Clarehouse care. Photography Chris Humphrey. Tulsa Botanic Garden celebrated the opening of the A.R. and Marylouise Tandy Floral Terraces at the annual Circle Dinner. Mary Pat Matheson, president and CEO of Atlanta Botanical Garden, was the guest speaker. More than 1,000 people attended the 2nd Annual Fall Harvest Festival & Feast hosted by JTR Group. A five course wine dinner followed that evening. Wente Vineyards supplied the wine and Justin Thompson’s team designed and executed the feast. 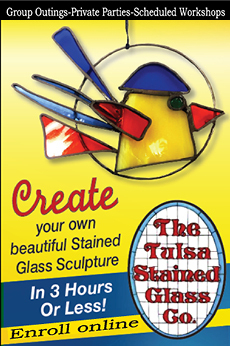 All proceeds benefited Youth Services Tulsa. Photography Evan Wei-Haas. The Cascia Hall Homecoming Cookout was held on Friday, October 9th. 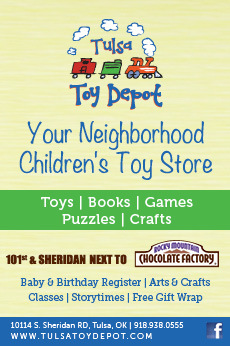 The Tulsa Toy Depot/Rocky Mountain Chocolate Factory Fall Block Party was held Thursday, October 22nd. Despite the rain, approximately 400 people braved the elements and enjoyed a great evening. Now Open! Bouse Fur House, pet boarding and daycare, is a full service dog, cat and pet care facility located at 1900 W. Detroit Street in Broken Arrow. They invite you to stop by for a tour; no appointment necessary. BouseFurHouse.com or 918.893.5695. In an adorable, modern twist to the world of optometry, LOOK Eyecare and Eyewear, located on Brookside in Tulsa, was founded on the importance of vision years before it was even a thought. Dr. Chris McDaniels and his sister Jennifer Butler were raised by deaf parents. It’s that special time of the year and of course you want to include your furry pets in the family fun; but please be mindful of special activities and human traditions that are dangerous to our pets. Baby Boomers are turning 65 at a rate of almost 10,000 a day. And many of them aren't ready to retire. Some continue working because they haven't saved enough money or have other concerns. Many, like Cindy Loftin, are breaking stereotypes and choosing second careers because they still have more to offer. With the holiday season approaching, most families turn their thoughts to those of joy and gratitude. For those of us at the Community Food Bank of Eastern Oklahoma, we too remain grateful for the generous support of our financial donors and volunteers who help us fulfill our goal of providing food with dignity for all Eastern Oklahomans. The holiday season paints a swirl of nostalgic memories for all ages around Oklahoma. The fondest Christmas memories are sparked by family traditions that are a must during those fast-paced days of December. A holiday tradition that countless families partake in each year is visiting Oklahoma’s famous Castle of Muskogee, better known around the holidays as Castle Christmas.